The HP CE312A No. 126A yellow is a genuine toner cartridge designed for the HP LaserJet CP1025 and CP1025nw. It is ready for your everyday printing, providing impressive print quality throughout its lifespan. The toner cartridge delivers up to 1,000 A4 pages at 5% coverage. 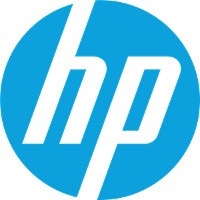 For shipping to other EU countries visit this page HP CE312A No. 126A yellow. Chcete doručit zboží do Česka? Prohlédněte si HP CE312A č. 126A žlutý . Chcete doručiť tovar na Slovensko? Prezrite si HP CE312A č. 126A žltý. Magyarországra történő kiszállításért tekintse meg ezt a termékoldalt: HP CE312A - 126A sárga.